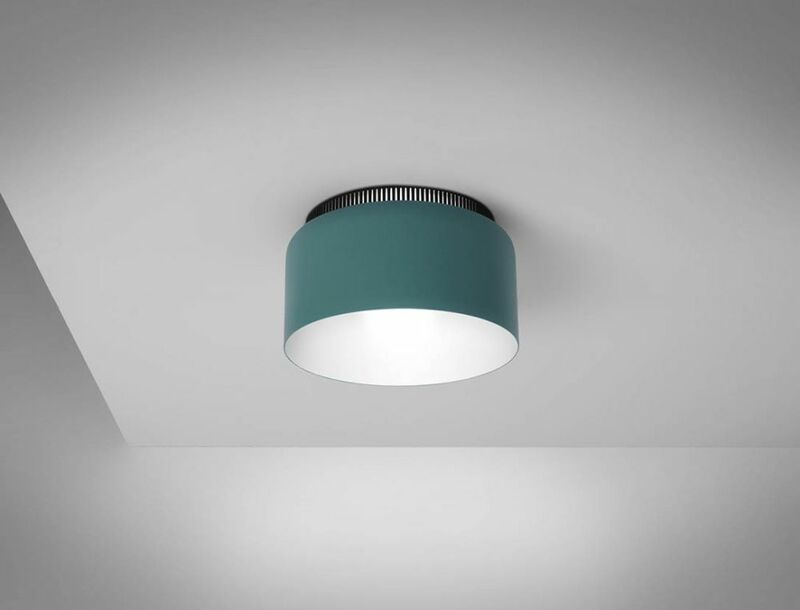 Direct and diffused light ceiling lamp. Matte lacquered finishes, with different combinations: grey, snow, lemon, mango, clear turquoise, and aqua. Available in three sizes.